Join The Movement Advancing the Future of LGBTQ Heritage and Culture! PRIDE Explorer® is the 1st and only self-guided Lesbian, Gay, Bisexual, Transgender, Queer and Allied (LGBTQ+) History Tour of Los Angeles! 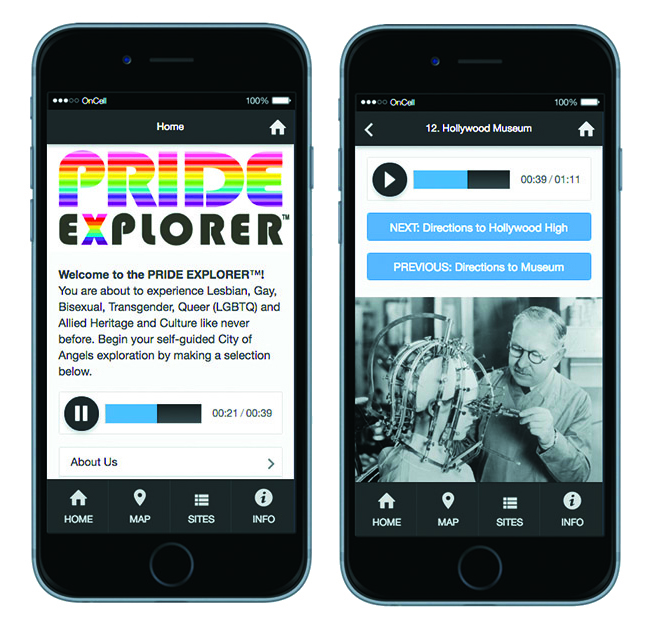 PRIDE Explorer® is a FREE App available for download from the App Store and Google Play. This educational and entertaining App has been created for both tourists and locals in mind. Gay or straight, young or old, there’s no other tour like this in the City of Angels! You can experience it from anywhere in the world, even in the comfort of your own home (or closet)! Our first Tour offering is “LGBTinsel Town” – a distinctive LGBTQ+ view of the origins, growth and current existence of the little citrus grove called Hollywoodland, that helped to change the world. From the historic & haunted Hollywood Roosevelt Hotel to the hustler-laden intersection of Hollywood & Vine, and all points in between, PRIDE Explorer’s interactive self-guided walking tour will blow the dust off over a century of closeted stars, underground pansy bars, and gay rights battle scars. PRIDE Explorer® is designed to expand to include multiple languages and more great cities. 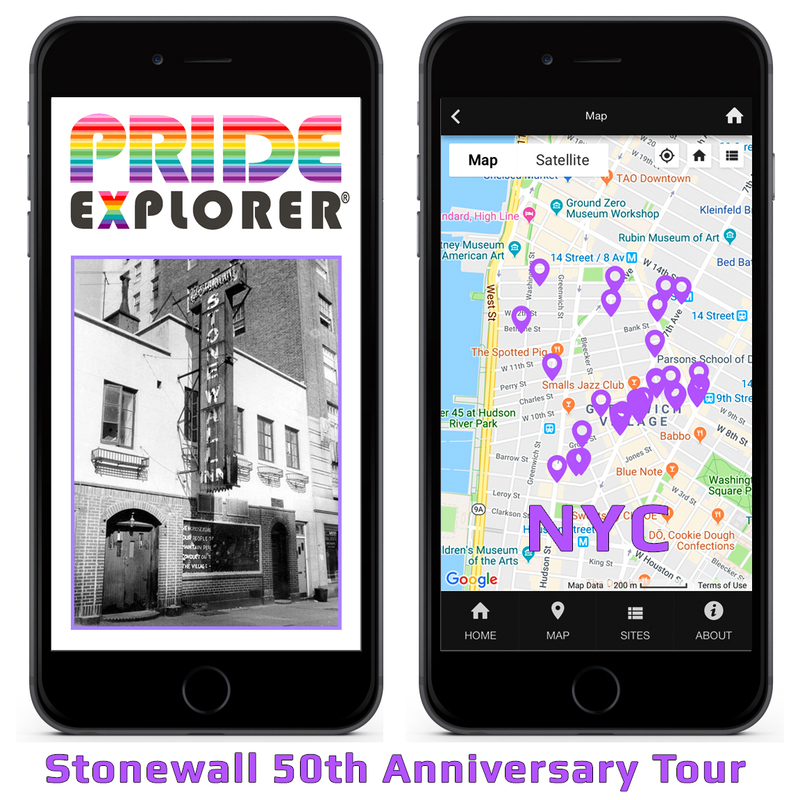 LGBTinsel Town is available in a Beta Version, as well as our newest NYC “Stonewall 50th Anniversary” tour (in English). Help us improve and expand by making a single or recurring donation with “PRIDE Explorer” in the memo. 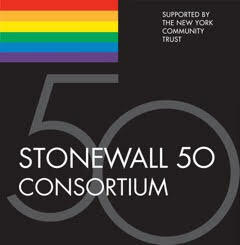 THE LAVENDER EFFECT® is a proud member of the Stonewall 50 Consortium and honored to participate in World Pride NYC 2019. Support The Lavender Effect by shopping at Amazon. Click on the ad below!